The fee for a basic tuning is $149. 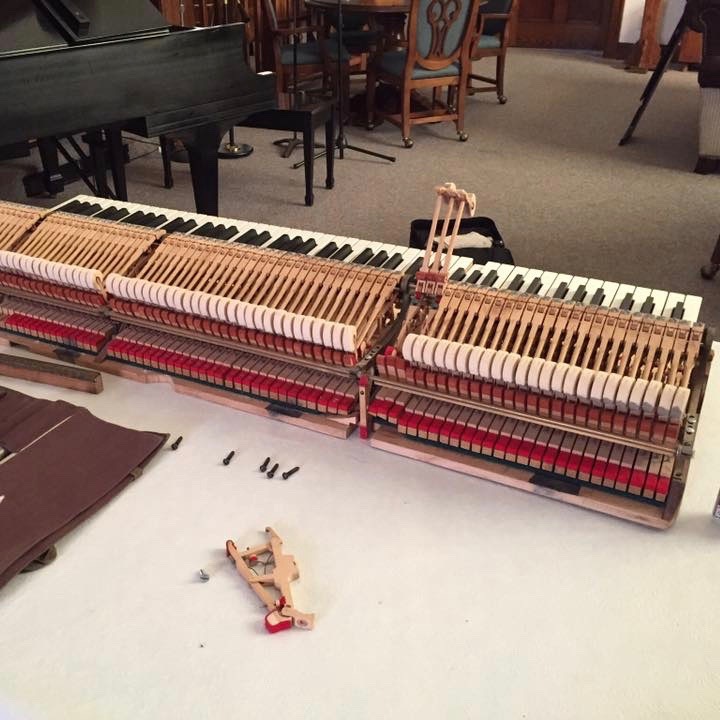 If the piano has not been serviced in a long time it may require a pitch raise (not included in base fee) before it can be tuned. For more on major pitch adjustments, see below. Repairs are not part of the tuning process. The term “pitch raise” or “chip tune” simply means that the piano will have to be tuned more than once to achieve the desired result. The first pass will only get the piano very close to perfect but not stable enough to stay for any length of time, and it will require a second or third tuning to really Fine Tune the piano. Imagine you are replacing a tire on your car. When tightening the lug nuts you will need to tighten each one several times. Why? You start with one lug nut, tighten it, move on to the next, tighten it, move on to the next, etc. After you have tightened them all, the one you started with will be loose again, so you have to start over. This is because the pressure on one lug nut affects the pressure of the one next to it. The same is true of the strings in your piano. 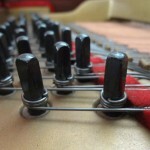 The best way to get a very stable tuning on a piano is to start with one that is pretty close to the desired pitch. If the piano is quite far from pitch the added pressure of all those strings changing will cause the strings you tuned first to be out of tune again by the time you are done. 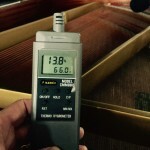 Extreme swings from hot to cold or dry to wet are harmful to your piano. Dryness causes the piano’s pitch to go flat; moisture makes it go sharp. 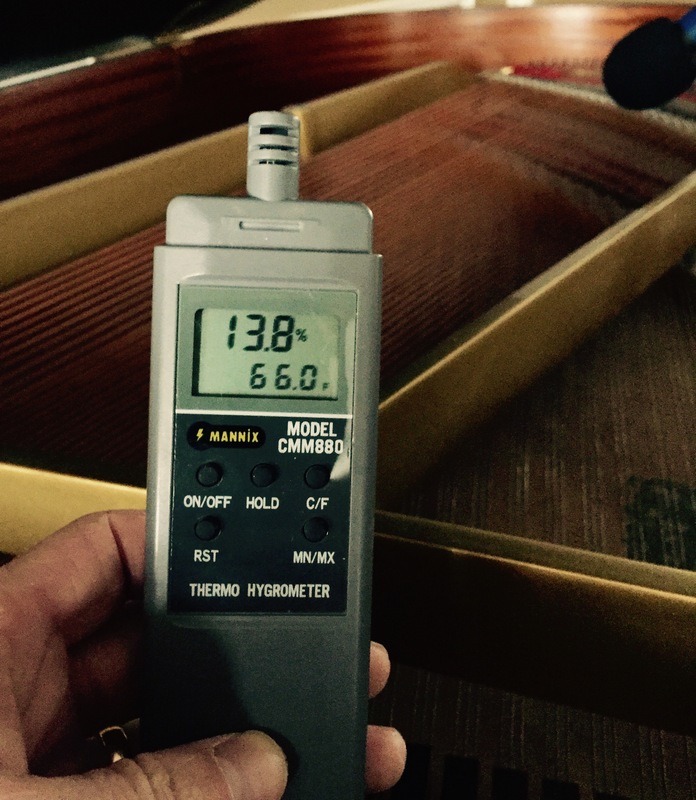 Repeated swings in relative humidity can cause soundboards to crack or distort. 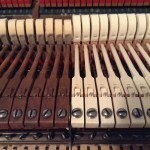 Extreme dryness also can weaken the glue joints that hold the soundboard and other wood portions of the piano together. Moisture may lead to string rust. A piano functions best under fairly consistent conditions which are neither too wet or dry, optimally at a temperature of 68 degrees F and 42 percent relative humidity. 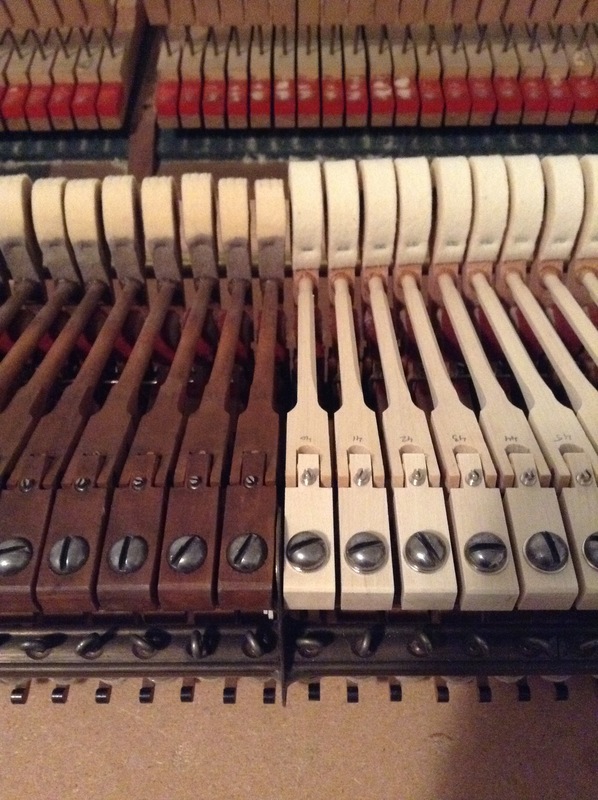 For more info on what you can do to avoid moisture damage to your piano click here. 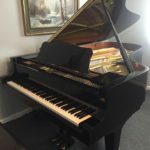 Because the tone of a piano changes as the felt hammers wear, periodic voicing and reshaping of the hammers is necessary so that your piano will have an even, full tone throughout the entire scale, and produce the widest possible dynamic range. The action is the intricate system of levers, springs, and hammers connected to the keyboard. 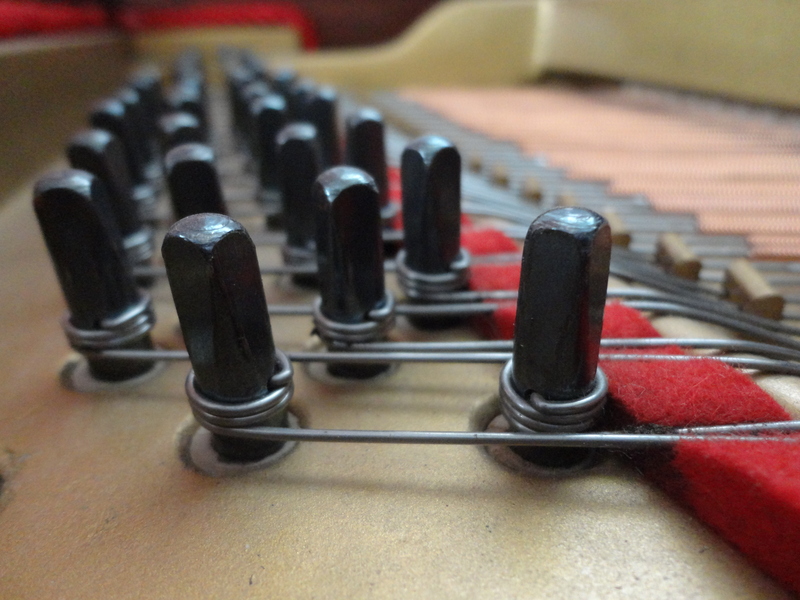 The complex system that causes a hammer to strike a string when you press a key is called the piano’s Action. When a piano leaves the factory, each of its parts is adjusted to a tolerance of a few thousandths of an inch. This process is called Action Regulation. Because the wood and felt parts of the action may change dimension due to humidity and wear, the action must be serviced occasionally to maintain its responsive qualities. If the service you are looking for is not listed, that doesn’t mean I don’t do it!